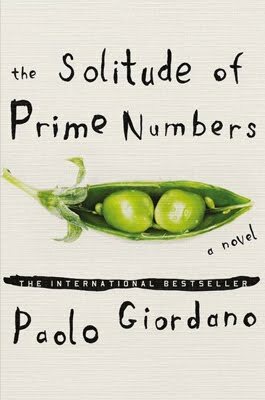 I've just finished listening to The Solitude of Prime Numbers by Paolo Giordono (read by Luke Daniels). I'll have my full review up soon, so I don't want to go into too much detail today. Alice and Matia meet when they are teenagers, each hiding secrets and each living on the outskirts. The novel explores their lives individually and jointly from their childhoods until they become young adults. The story is difficult to explain in one paragraph, but the book cover gives an excellent hint: Note the dichotomy between the two peas in a pod and the word solitude in the title. I'll leave you there for now. The Tea. This week I'm drinking one of my favorite teas--Stash's Chai Spice black tea. As always, I drink it fairly strong and without sweetener or milk. Here's how the company describes it: "For our interpretation of this classic Indian drink, we blend rich, flavorful Indian black teas and cinnamon, clove, ginger and cardamom. The brewed tea is very aromatic with a flavor that is slightly sweet, strong and penetrating, with rich, full bodied lingering flavor notes." So perfect now that central Pennsylvania has returned to winter. The Assessment. Matia and Alice both drink tea, and I'm sure chai teas are available in Italy. But neither character strikes me as going for an exotic brew. Matia, especially, is probably drinking some grocery store brand of black tea. Alice, perhaps, might give chai a try, but I'm not convinced that she would drink it regularly. What about you? What are you reading or listening to this week? And, of course, I want to know what you're sipping as you get lost in the pages. For Audible and Simply Audiobooks, see the sidebar. For Stash Teas, see the sidebar. Hehe. I am reading a Robert Goddard novel called "The Dane" in Danish. But oddly enough, it does not quite strike me as the Denmark I know (even though it takes place in my university town). Well, this is a very interesting book for you to be listening to. I cannot wait to hear what you have to say. And you are reading Justin Cronin's book. Can't wait for your words on that as well. Dorte: I need to take a look at more Danish novels, since I love your country so much. Beth: You'll have my thoughts on this one soon. And yes, I'm about a quarter or a third through THE PASSAGE. Hoping to concentrate on that next week. I can't wait to read your full review of this book. I really liked this one from the very first pages to the end. 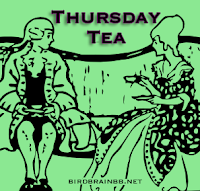 As for tea, I am drinking Twinings English Breakfast and/or Twinings English Aternoon tea. This week's audio books are One Good Dog; Wilson - like it a lot and Postmistress; Blake - good. I'm going to reveal my shallowness, but I've been wanting to get hold of that book just for the fabulous cover. 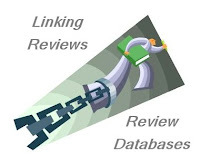 I can't wait to read your review. I have this book on my TBR pile now I will make a point to dig in! I too love the cover. I'm a huge fan of the Bigelow Lemon Lift CAFFEINATED tea - I could only find the decaf version in stores so I ended up ordering a case from Amazon. Now I'm stocked up on tea for years... If you need any Lemon Lift, let me know! An interesting contrast - I look forward to hearing more about this book. I've been drinking the Hot Cinnamon decaf and Tazo Earl Gray. Today, 5/13/2010, I am sipping on English Breakfast Black Tea, I think from Green Mountain Coffee service, and I am reading Rhoda Janzen's Mennonite in a Little Black Dress, which is laugh out loud funny and she is making look up words in the dictionary, so am I reading the dictionary too? Peas in a Pod sounds interesting...do you like to listen to books often? It's getting (or actually it's already there) hot, so I've been on an iced green tea kick lately. My BFF has had this audio, with intend of loaning it to me, but is giving her FITS because it is one with 100 tracks per disc, and the online database doesn't recognize the titles. She was trying to find a way to easily load it on her iPod, but she is crashing and burning. Depending on your review, we will see if I try. I have this book in my pile and I can't wait to read your review of it. This book sounds SO interesting, I want it more and more every time I read a review. This book caught my attention after reading a blurb somewhere prior to its release. I'm planning a road trip during the summer for vacay and think that I'll purchase this one for the Kindle.